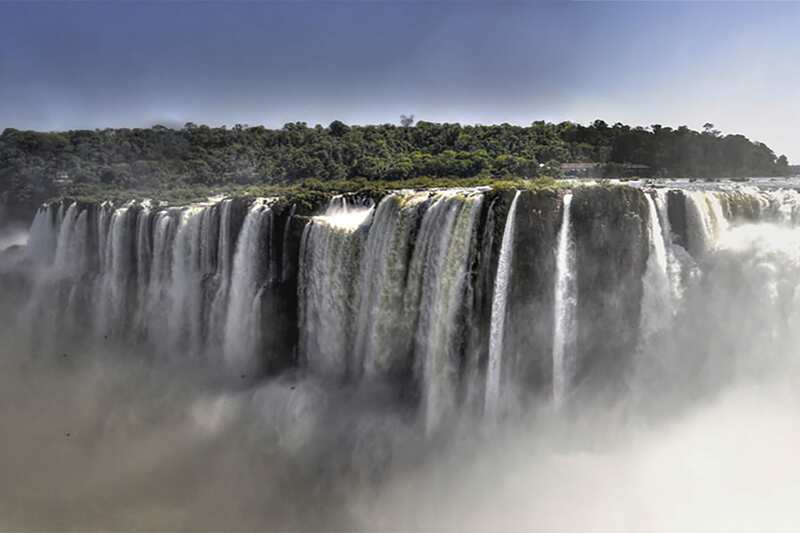 Discover Argentina and Brazil´s highlights- Buenos Aires, Iguazu Falls and Rio de Janeiro . 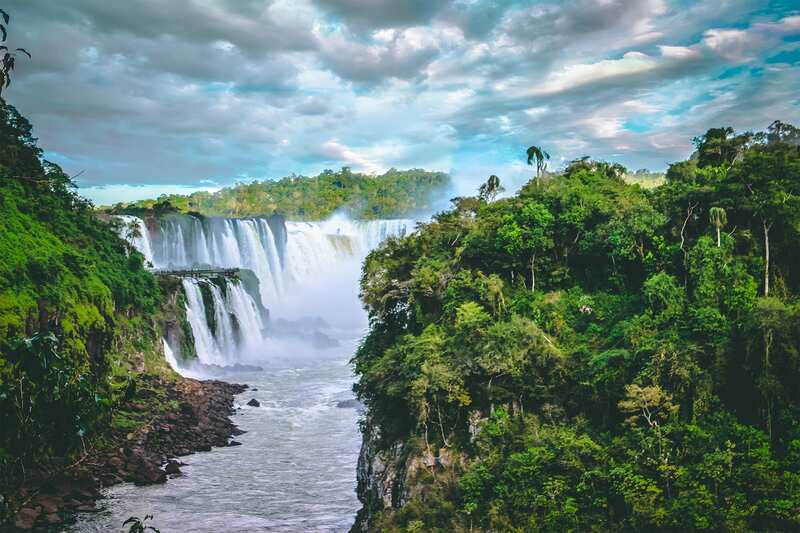 The two most alluring cities of South America and its greatest natural wonder, Iguazu Falls, offer exciting nightlife, tango & samba, as well as the most spectacular waterfalls in the world! Buenos Aires is a marvelous, cosmopolitan city, full of color and different types of architecture. Capital of Argentina and described as the Paris of South America, Buenos Aires proudly embraces this title, as well as showing off plenty of its own culture! So, for this first day, be free to wander the cobblestone streets lined with outdoor cafes, enjoy the mouthwatering aroma of prized Argentine beef sizzling on an open “parrilla” (barbeque), and browse the local antique and artisan markets that offer plenty of bargain shopping. And to travel deeper and have a firm grip of the Argentine spirit, (Buenos Aires is home to some excellent local designers) and explore the colorful Palermo Soho neighborhoods. In the evening you will be picked up from your hotel, as we make our way to a mystical place, where you’ll discover one of our most ancient traditions. 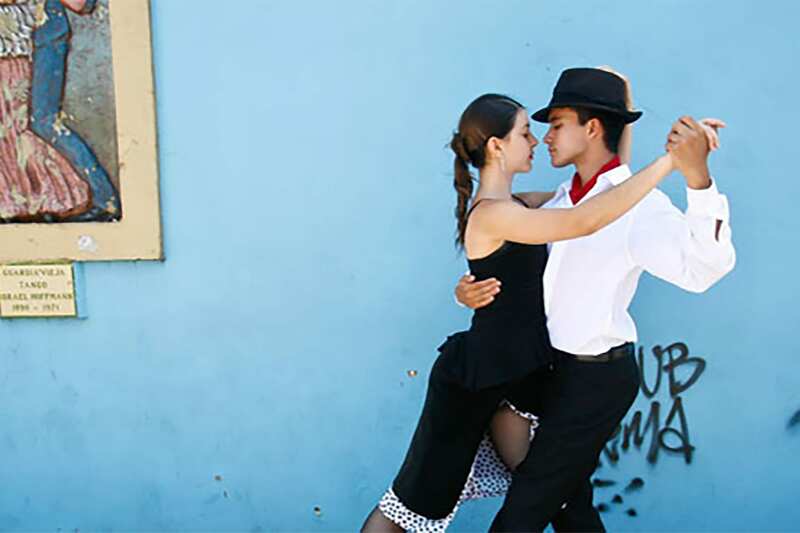 Tango is more than our national dance. Tango is our immigrant origins, the talent of our local artists, the sensuality of the Argentine woman and our way to deal with a broken heart. Tonight you will enjoy a professional display of tango and music with a group of local artists onstage immersed in an elegant and alluring place. The ambience, clothing and dance steps which tango lovers used to practice 100 years ago, will come to life again and you will travel in time for a night. This spectacular 3-4 hour long demonstration of the finest local dancing will be accompanied by delicious Argentine and international cuisine. Dinner is à la carte, and beverages are included, so you can lose yourself in the ethereal taste of Malbec wine. Upon arrival to Puerto Iguazu, you will be met at the airport and provided a transfer to your hotel. 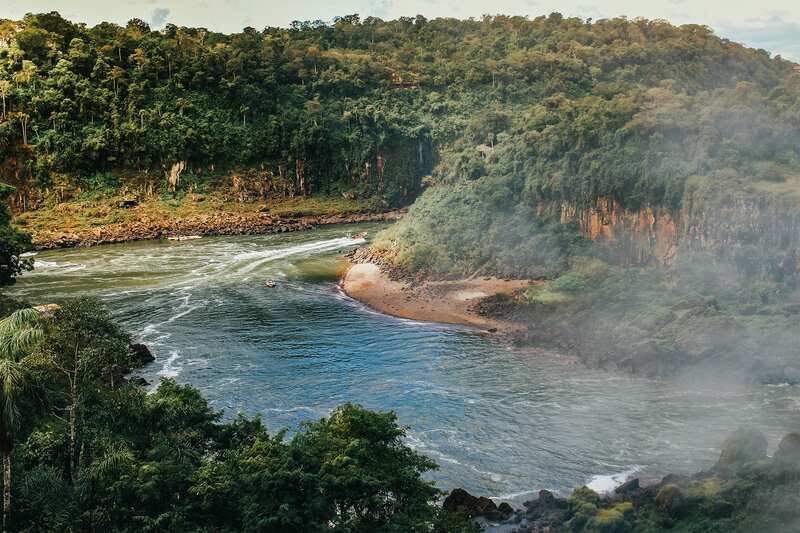 The small border town of Puerto Iguazú is the gateway to visit the impressive Iguazú Falls, one of the Seven Natural Wonders and a UNESCO World Heritage site, making it a must-see destination for any traveler visiting Argentina. 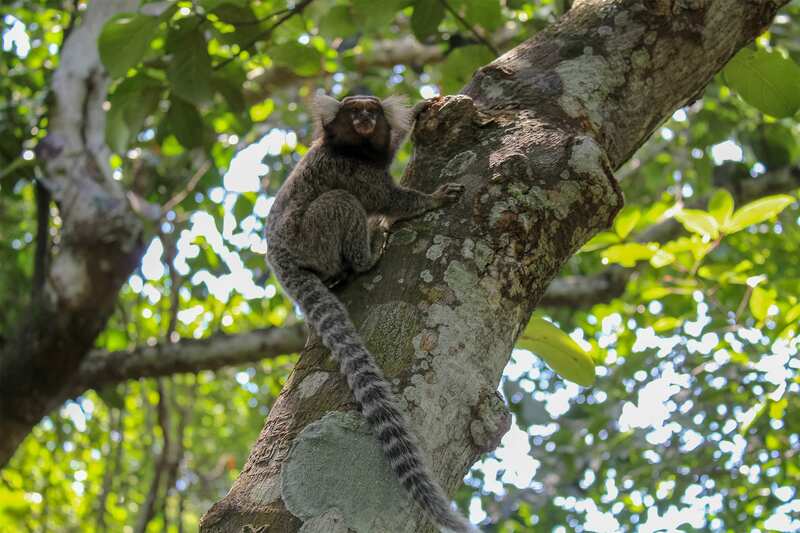 After breakfast, you will be driven back to Iguazú National Park, to explore the walking trails, waterfalls and of course, the wildlife. 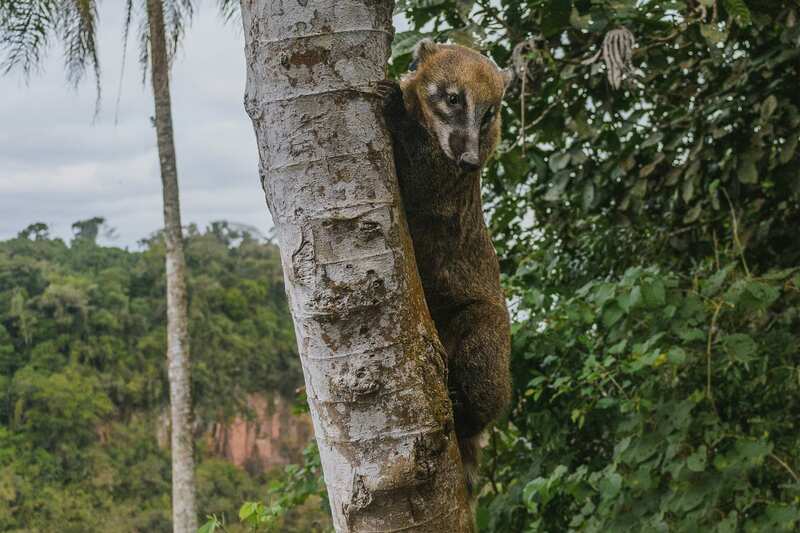 Keep an eye out for toucans, monkeys or even the ubiquitous (and cute) coatis that scamper about the footpaths. Your guide will take you to the park just before it opens to be the first visitors of the day. Once the entrance is open, instead of taking the ecological train you will walk quickly to arrive even before the first group to Garganta del Diablo (Devil’s Throat), which will permit up-close and personal experiences with this magnificent spectacle of nature. The falls are surrounded by a humid subtropical forest where the exuberant vegetation is home to many different animals and birds. Lower and upper walkways weave in and around falls, allowing for up close and personal experiences with this magnificent natural wonder. After walking and taking pictures of animals and plants, you will have some free time to eat lunch in this amazing environment. Note that in the park there are different excursions you can take for an additional cost. The most popular one is “Gran Aventura”. 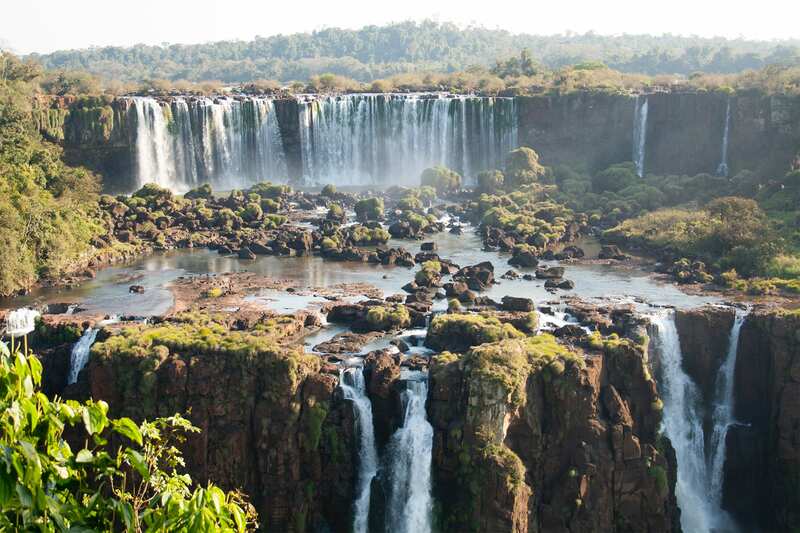 This exciting excursion is highly recommended in order to experience the true power of Iguazu Falls. (Please be aware- on the boat trip there is a 100% chance that you will get wet...the Falls provide a refreshing “natural shower”. Be sure to take some extra clothes if you want to do this excursion). You don’t need to reserve this excursion in advance. It has departures every 15 minutes, and you can book it locally. This excursion is highly recommended in order to experience the true power of Iguazú Falls. National Park Argentine Side entrance included. 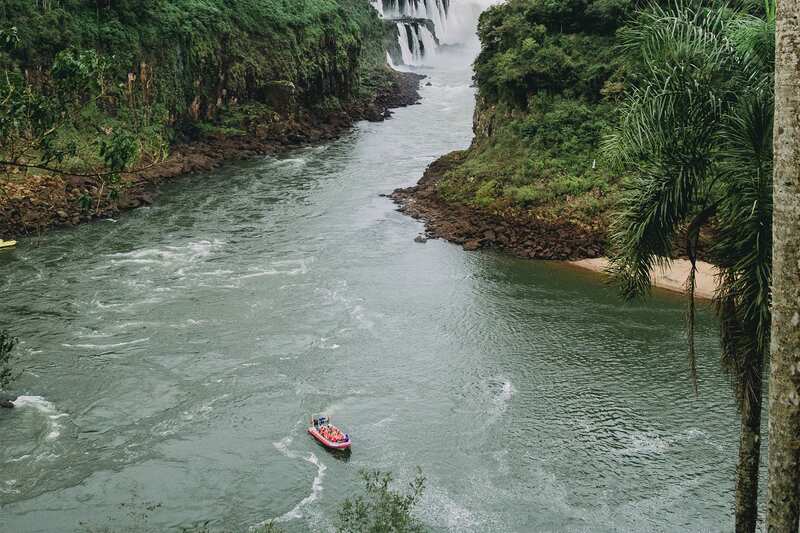 Today you will be driven to the Brazilian side of the Iguazú Falls. Don´t forget your passport! 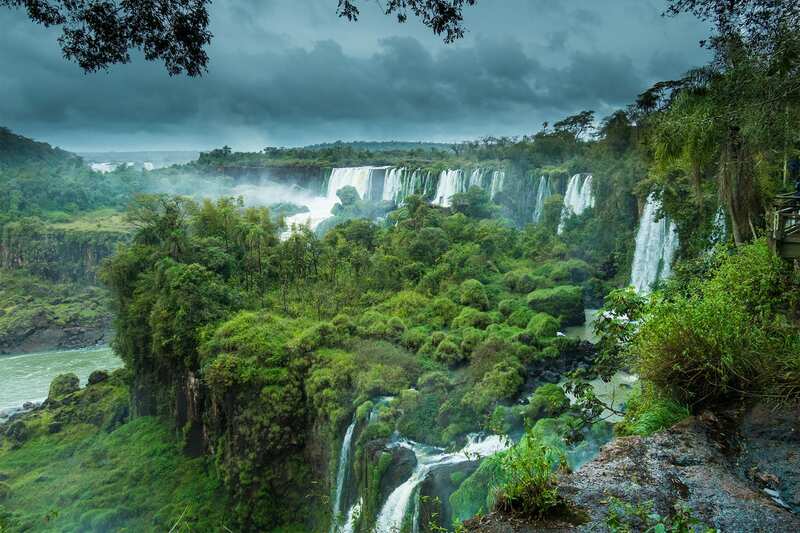 While Argentina has 80% of the falls on its side, Brazil has the best panoramic view. 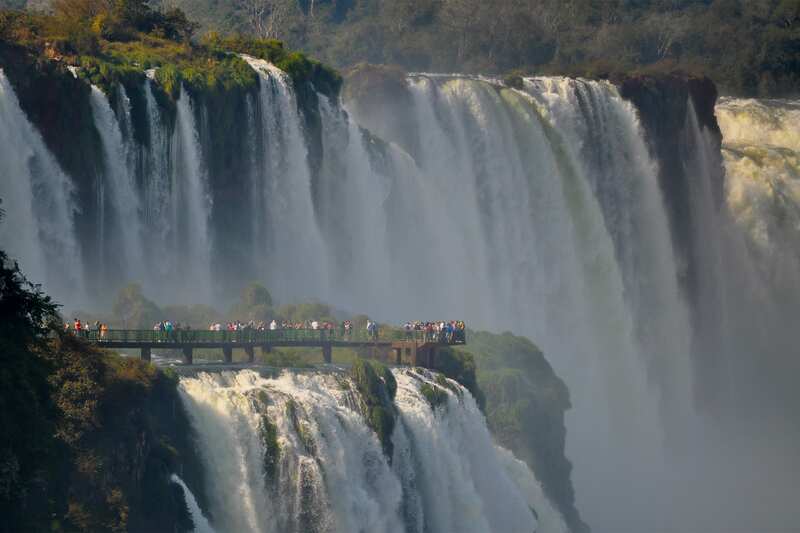 On the Argentinian side you had the sensation of being right inside the falls, but only by visiting the Brazilian side will you fully appreciate the immensity of Iguazú falls. Take your time to enjoy it and feel it, to stroll the different walkways and feel the spray of water in your face. Take the boardwalk over the Salto Santa María, and feel the sensation of walking on the water. Get closer to the “Devil’s Throat” and feel the power of water! We are sure this is a day you will never forget. National Park Brazilian Side entrance included. At appropriate time, you will be transferred to Foz de Iguaçu airport to board your flight to Rio de Janeiro. The exotic mix of beach and mountains, colonial neighborhoods and modern style, together with the vibrant sound of Samba everywhere, are some of the reasons this city was described in the book “A thousand places to see before you die” as one of the most beautiful cities in the world. Upon arrival in Río, you will be met at the airport and transferred to your hotel. 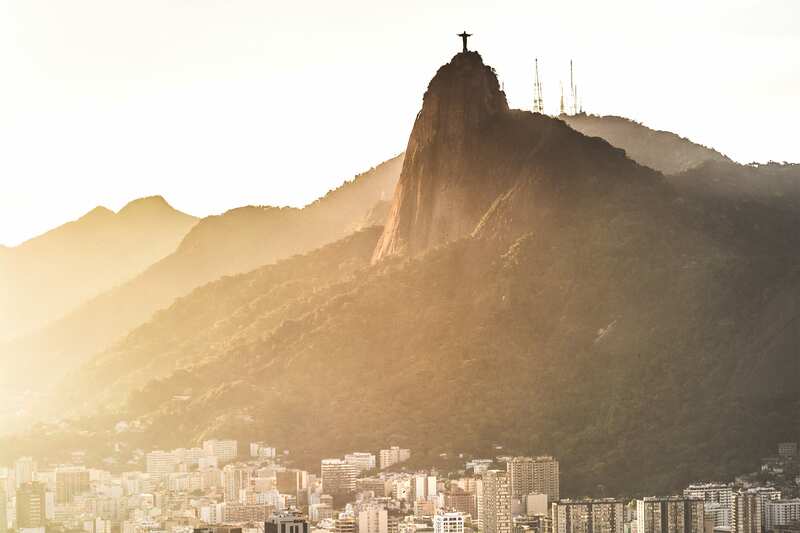 Corcovado is among the 'musts' of any visit to Rio. 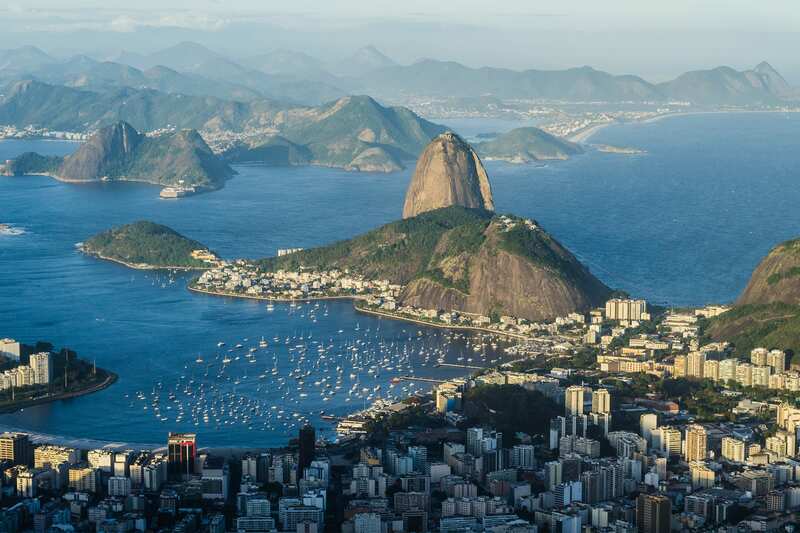 The 709m humpbacked Corcovado is famous for the majestic statue of Christ the Redeemer located at the top. 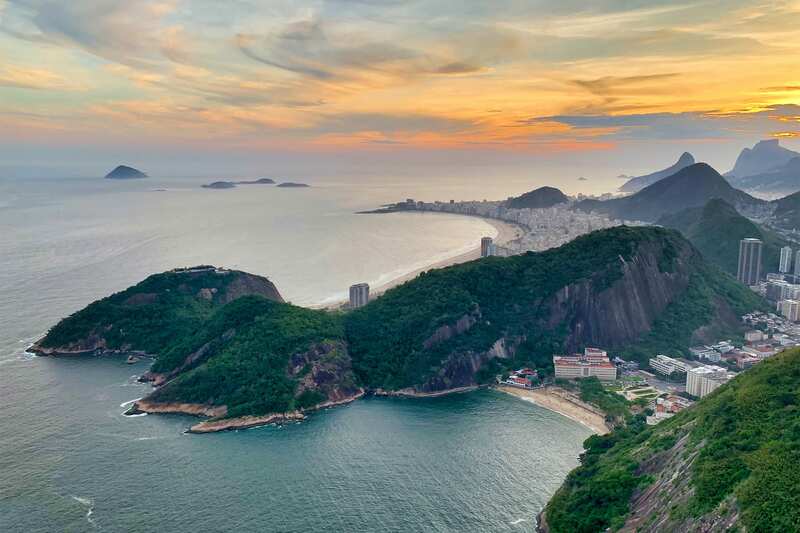 Enjoy a breathtaking view of the beaches of Copacabana, Ipanema and Leblon, the Rodrigo de Freitas lagoon, and the Botanical Garden. 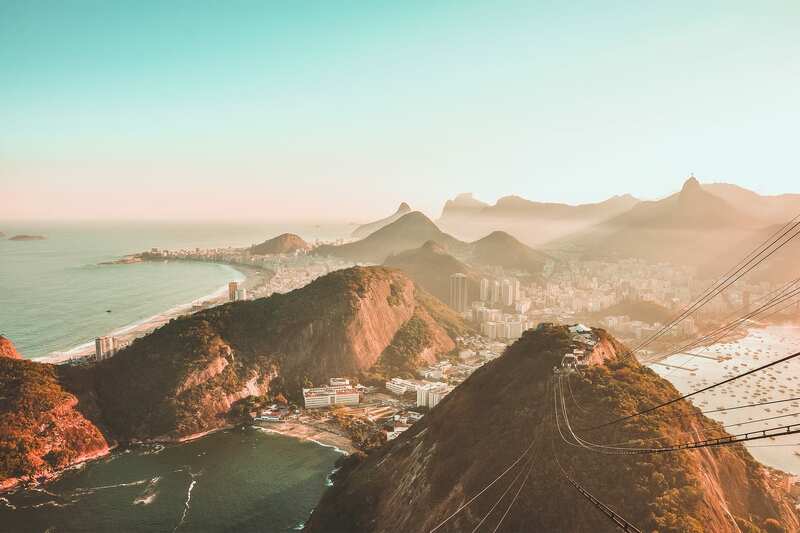 Take in the beauty of another sightseeing spot of D. Marta belvedere, and appreciate the stunning views of the Maracanã stadium, the Guanabara Bay and the Sugar Loaf. Discover Sta.Teresa traditional district with its mild climate, and impressive homes that became a famous art center, with craftsmanship galleries and the trolley car in Rio. You will be taken to the neighborhood of Urca, where Sugar Loaf is located. The visit is made in two steps by cable car. 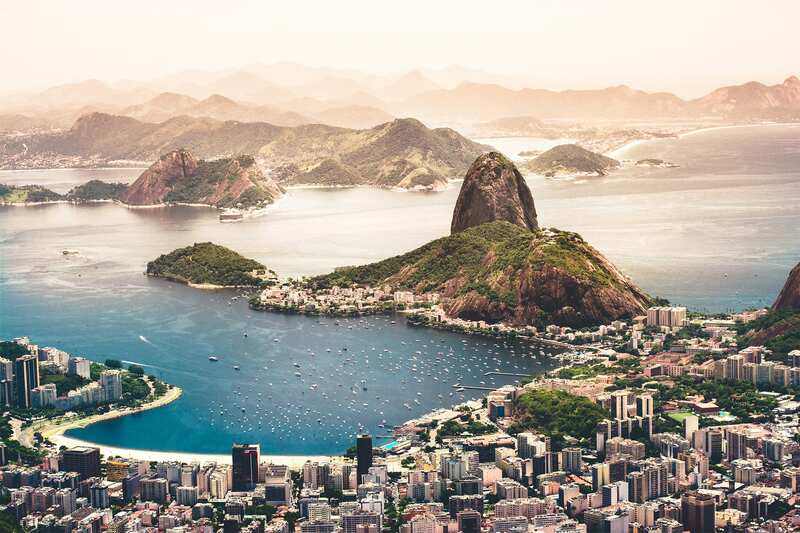 The first takes passengers to Urca Hill, which is 215 meters high, with a beautiful view of the Guanabara Bay and its islands, the Rio-Niterói bridge and Corcovado hill. From this stage, a second cable car will go up to the top of the mountain, ascending 395 meters, offering a splendid view of Copacabana beach, the Santa Cruz fortress and some beaches of Niterói. Please note you can customize this itinerary to meet your specific needs, we can fully tailor trips by number of days and activities, so please just use this as a reference.